You will love extraordinary elegance of this band ring. 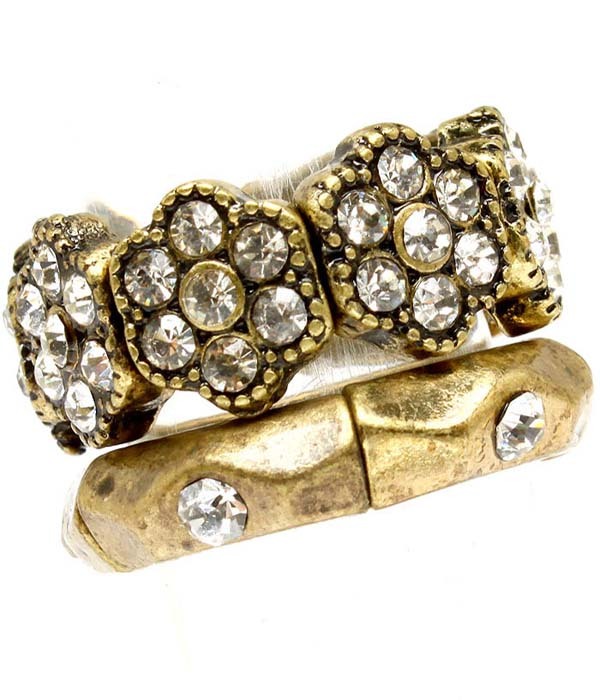 The accessory includes a lower thin gold ring with tiny clear crystal studs, and an upper wide ring with crystal clusters in the shape of flowers. Purchase one of our fashion rings and other jewellery to to qualify for a free bonus bling gift.